5G OnePlus 7 To Come With OPPO’s 10x Optical Zoom Camera? There are many smartphone companies experimenting with various techniques from quad-camera to sliding modules to enhance camera quality without affecting the entire user experience. Chinese-based tech company OPPO seems to be setting a new benchmark for their upcoming phones with 10x optical zoom for mobile cameras. This new camera tech could make its way to the future flagship phones like the OnePlus 7 or OnePlus 7S. According to Hindustan Times, the 10x optical zoom from OPPO is a big improvement from the 5X optical zoom that was showcased a couple of years ago. The company combined two 5X optical zooms to deliver this one 10X zoom with 15.9 to 159-millimeter focal length equivalent. This special camera can launch in ultrawide mode. It can zoom into a telephoto lens. In this camera setup for the alleged OnePlus 7, three lenses are combined into one to deliver the lossless shot. This technology brings unique dual Optical Image Stabilization (OIS). This is expected to unveil at the upcoming Mobile World Congress (MWC) in Barcelona, Spain. Then, the company will showcase a reference phone with this new technology. Apart from this new technology, a bigger in-screen fingerprint reader will also be introduced to the upcoming device. Shenzhen-based smartphone manufacturer OnePlus has been borrowing a few design features from the flagship OPPO phones in the past. Just as the current OnePlus 6T featured an on-screen fingerprint sensor that was launch on OPPO R17 Pro. Then, a new waterdrop notch is like the OPPO phone. So, many speculated that the next iteration could be the OnePlus 7 with OPPO’s new camera technology. 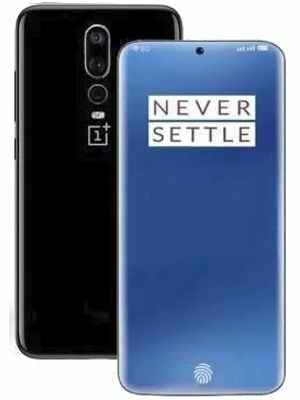 It is expected to be the successor of the current OnePlus 6T. It will also have a sliding camera mechanism as seen on the current Honor Magic 2. Then, there will be an edge-to-edge screen without a notch and Universal Flash Storage (UFS) 3.0 for ultra-fast storage. The Snapdragon 855 processor is already confirmed for this upcoming phone and brings 5G support. Are you excited to see OnePlus 7? Share your thought and expectations by writing in the comment section below.